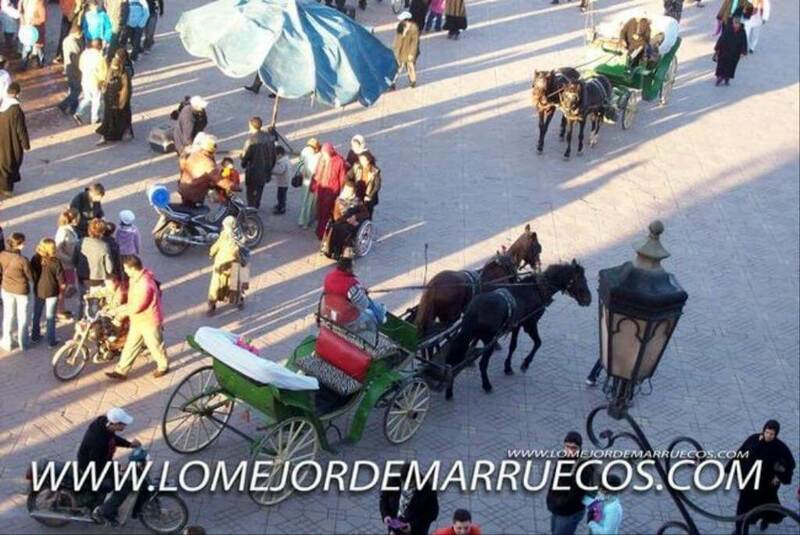 Depending on the time of your arrival you might be able to see the charming JAMAA L'FNA square and its surroundings. We will pass by the lake of Ben El Ouidane and by Beni Mellal, small town in the middle of plantations of oranges, olives, figs etc. We will end the day with the visit of the Berber town The Ksiba. We will discover the splendour of the Atlas Mountains. 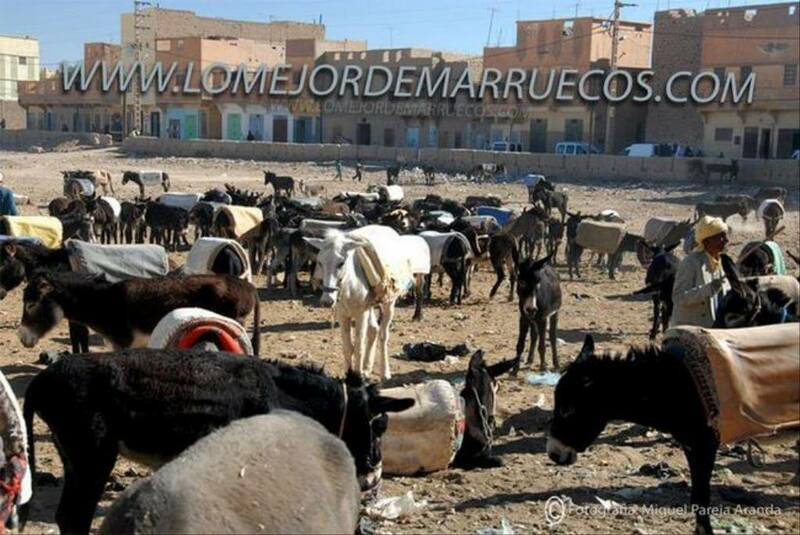 We will reach the Imilchil, Berber village located in the middle of the High Atlas. We will go on until the Amellago gorge. 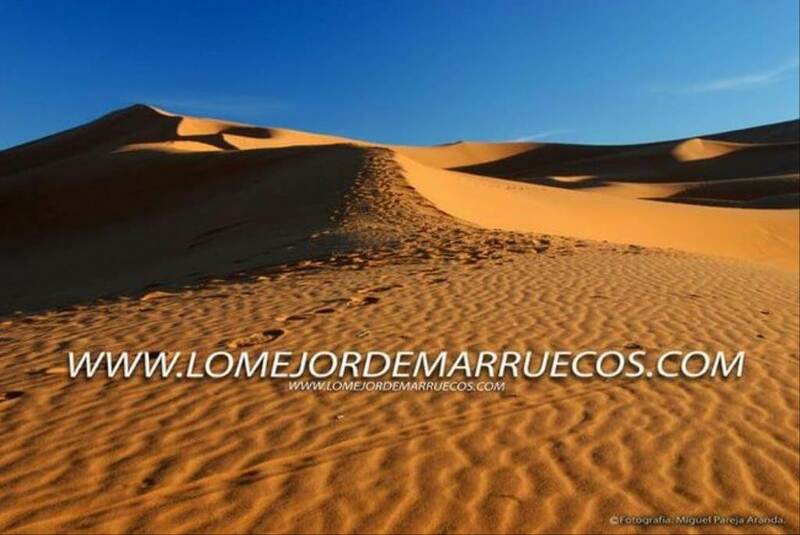 We will continue until the city centre of Tamthoust to then reach Goulmina, passing by the Gorges of Ziz, we will arrive at Errachidia and end the day in the precious dunes of Erg Chebbi (the highest of Morocco). 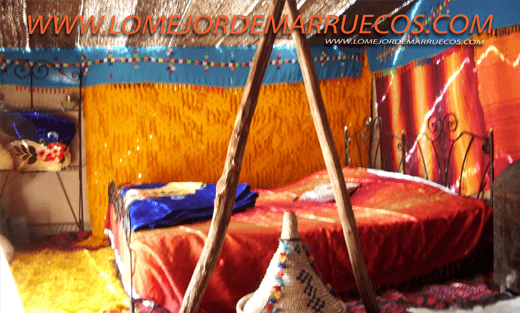 After breakfast, we will walk through the dunes of Erg Chebbi and we will appreciate the oasis of Mergouza. We will then stop in the village of KHMALIA (inhabitants from the Sub-Saharan) to then listen to their traditional music called Gnaoua. In the evening we will set off on camels back toward an oasis located in the middle of the dunes. The trip will long approximately an hour and a half. We will spend the night under a tent also called "jaima" (great night under a starry sky). We will pass by small lost villages, dry Oueds (rivers) to finally reach Zagora. After the breakfast we will leave for the Draa Valley, we will take a road through the valley passing by small Berber villages and Kasbahs. We will cross the mountain of KISSAN and reach Ouarzazate. 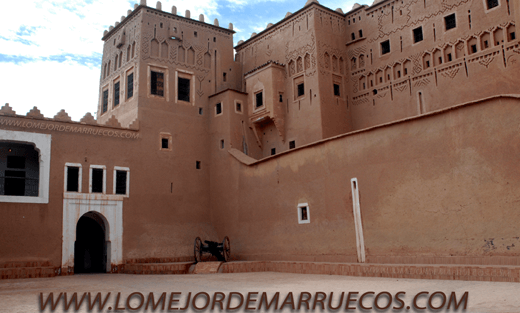 After the breakfast we will visit a few picturesque places of the town such as the ancient city of Ouarzazate, the souk, the Kasbah Taourit, the films studios, etc. First thing in the day, we will head toward the small fortified village of Ait Benhaddou, where movies were filmed like Gladiator, Obelix, Sahara with Matthew McConaughey. 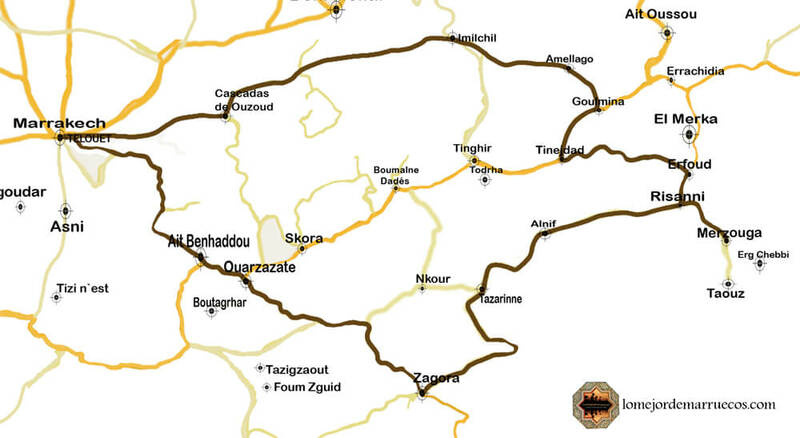 After those visit, we will take another route leading us to the Kasbah Telouet. We will cross the High Atlas following a mountain pass at 2260m to finally arrive in Marrakech later on the day. In the morning, guided visit of Marrakech. The rest of the day is free for you to enjoy on your own, its streets and souks. In the evening, you will have the opportunity to enjoy a special dinner including a show. Transfer to the airport and end of our services..